From 2006 to 2012, I was president of Garden Walk Buffalo, the largest garden tour in America – with more than 400 open gardens throughout a walkable portion of the beautiful city of Buffalo. These creative urban gardens are open the last full weekend of July each year. Garden Walk Buffalo attracts 60,000+ attendees from around the U.S., Canada, and abroad every year. In addition, I currently chair the Marketing Committee for the group. I am also vice president of Garden Walk Buffalo Niagara – a garden tourism series of activities and events including 14 weekend community garden tours, a garden bike tour, garden-themed bus tours, a garden art sale, 90 Open Gardens on Thursdays and Fridays throughout Western New York, and specialty garden-themed tours of Buffalo's East side and Buffalo's sustainability efforts. 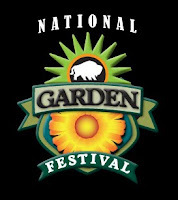 I was a co-founder of The National Buffalo Garden Festival, which merged with Garden Walk Buffalo in 2015, creating Garden Walk Buffalo Niagara. There are dozens or partners helping to make these events happen and I work very closely with the Buffalo & Erie County Botanical Gardens, the Buffalo Olmsted Parks Conservancy, the NYS Certified Nursery & Landscape Association, the District 8 Federated Garden Clubs, and most importantly, Visit Buffalo Niagara. I own my own advertising design business, JCharlier Communication Design, since 2000, having spent my "formative years" in adverting agencies in Buffalo and briefly, in Rochester, NY. My work (logos to print advertising to TV spots) have been honored with local, regional & national awards and have appeared in major industry publications. I am the fortunate recipient of the Advertising Club of Buffalo's David I. 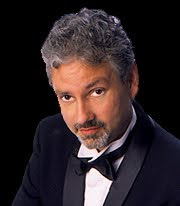 Levy Award recognizing outstanding achievement and service in the communications industry with a distinguished record of achievement over an extended period of time, which includes contributions to his/her company, the industry and the community. I have organize annual portfolio review events for the college & university design and advertising students throughout Western New York on and off since 1986. I am a three-time past president of the Art Directors Club of Buffalo – organizing events such as a Contemporary U.S. Poster Design Exhibition, organizing a live painting event with caricaturist Phillip Burke and dozens more. I was also directly involved with the local advertising awards shows (in its many forms & titles) for 22 years in a row. I'm tired now. As an advertising designer, my regional clients include Horizon Health Services, Marrano Homes, Buffalo Seminary, UB Law, Castellani Art Museum of Niagara University, Eye Care and Vision Associates (ECVA), Niagara Distillery, and and dozens more. I am also Vice President of the Board of the Graycliff Conservancy and chair of the Marketing Committee for Frank Lloyd Wright's Graycliff Estate, a house museum in Derby, NY. I am also on the Marketing Advisory Committee of the region's tourism bureau, Visit Buffalo Niagara. I'm also a member of the Marketing Committee of Urban Roots Community Garden Center, the nation's first cooperative garden center. I've designed & produced a 120-page coffee-table book on Buffalo's gardens with writer Elizabeth Licata and photographer Don Zinteck. Other books I've designed include Nickel City Chef, Buffalo's Finest Chefs and Ingredients; The Buffalo Philharmonic, the BPO Celebrates the first 75 years; and AUDieu, Buffalo Says Goodbye to Memorial Auditorium. I've been told that I am the country's second leading garden tourism expert – by the country's leading garden tourism expert, Richard Benfield. Mostly, he says, because there is no one else. I've written a book jacket endorsement for his book – the only book ever written on garden tourism – titled Garden Tourism. I've given talks about garden tourism and consult with gardening organizations from around the country to help start, or further develop, their own garden tourism marketing. I have presented twice at the International Garden Tourism Network's North American Conference. I like to think I've taken my years of experience in advertising and PR and used these powers for good, promoting the image of Buffalo, NY that I see (as opposed to using my powers for evil – not that I haven't done that too!) I will not stop until Buffalo is recognized nationally as a great gardening destination. Wish me luck. To see what I do when I’m not doing what I do, visit JCharlier.com.